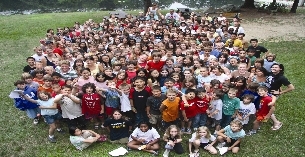 YMCA Camp Mason is situated on 450 wooded acres in the Delaware Water Gap in northeastern New Jersey. 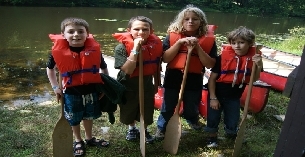 Ridges, valleys, ponds, streams, and trails cover the property, and the Delaware River is just a few minutes down the road. 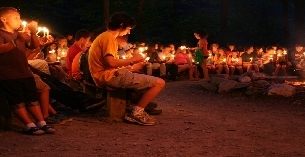 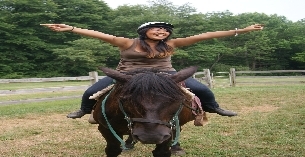 In addition to a traditional YMCA summer camp experience (s'mores, campfires, canoes, arts, singing, costumes, games, friendship, fun), Camp Mason is unique in being able to offer access to the national park (our trips programs are awesome), a western Ranch Program (horses and barns and trails and a rodeo), and an excellent CIT (counselor-in-training) program for teens. 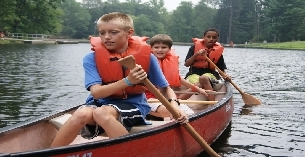 Our emphasis on a strong cabin group, making and keeping good friends, and being active outdoors is the foundation of an exceptional summer camp experience!